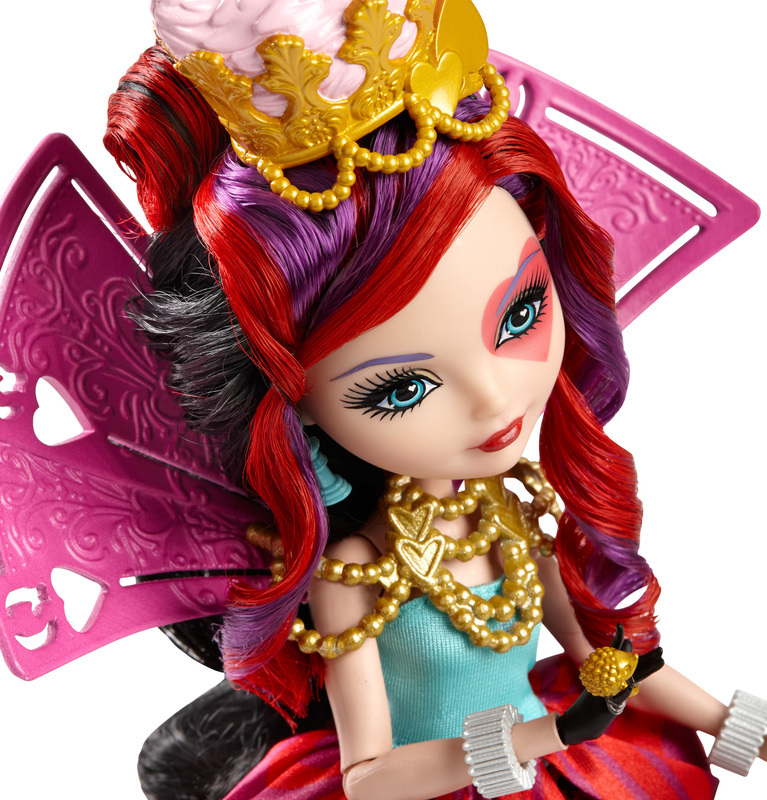 Shut the storybooks you thought you knew because at Ever After High, you can Choose Your Own Ever After! For these teenage sons and daughters of the most famous fairytales ever, every day can turn into an epic day. In the epic Netflix Original Series, “Way Too Wonderland,” Raven Queen, daughter of the Evil Queen, tries to magically reverse her mother’s curse on Wonderland and accidentally transports herself and her friends to Wonderland High. As Kitty Cheshire, Madeline Hatter, Apple White and Lizzie Hearts fall down the rabbit hole, their outfits transform into spellbinding dresses with wonderlandful charm. 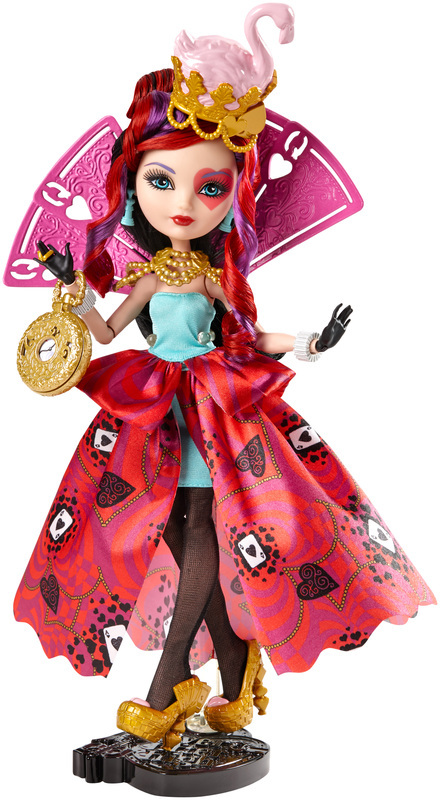 Lizzie Hearts doll, daughter of the Queen of Hearts from Wonderland, is just lovely wearing a purple and red bubble peplum dress with bold neon, beautiful pastels and a playing card-inspired print on the skirt. A giant playing card collar with golden necklace, colorful hairstreaks and a crown headband with nesting flamingo are “just right” for Wonderland. 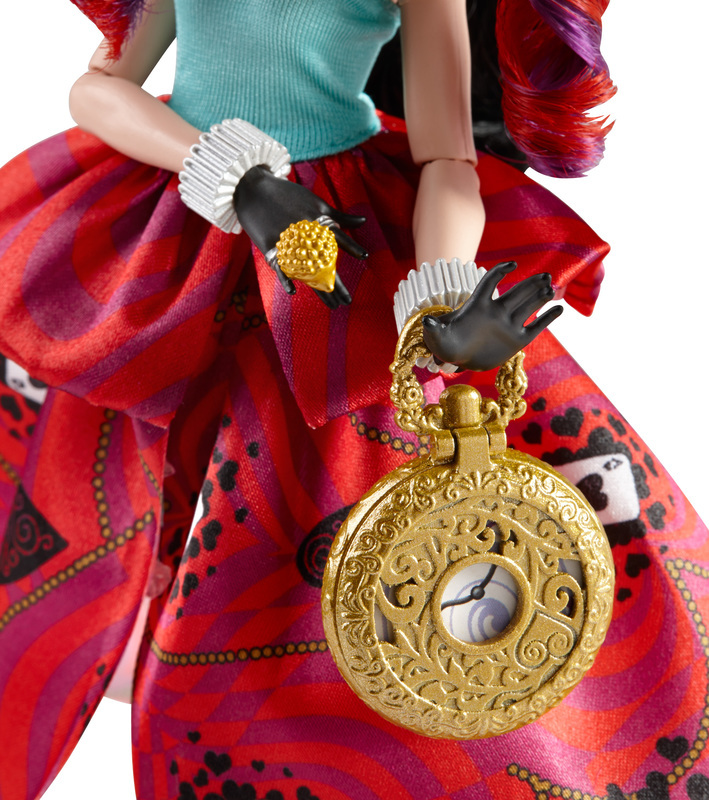 Hexquisite detail, spelltacular shoes, white cuffs, fableous jewelry and a timely golden pocket watch (that opens!) complete her charming look. 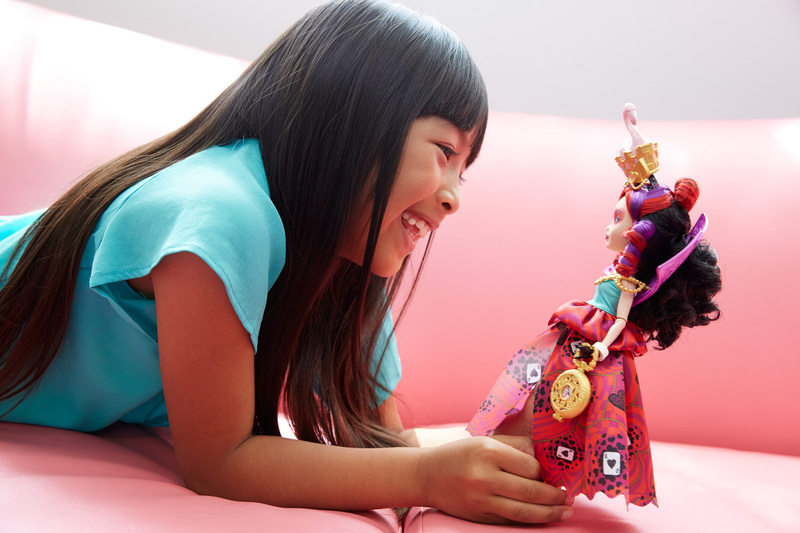 Use the doll stand to capture the posable doll in a magical moment. Also comes with a doll hairbrush and bookmark with hexclusive content. 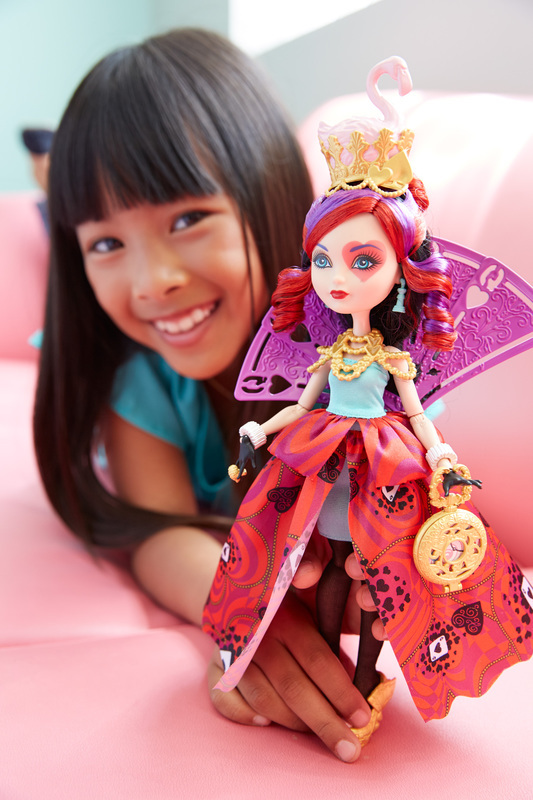 Collect all of the Ever After High characters for Wonderland-iful fun (each sold separately)! 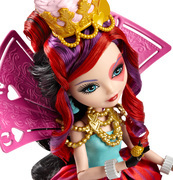 Includes Lizzie Hearts doll wearing fashion and accessories, pocket watch, doll stand, doll hairbrush and bookmark. Doll cannot stand alone. Colors and decorations may vary.